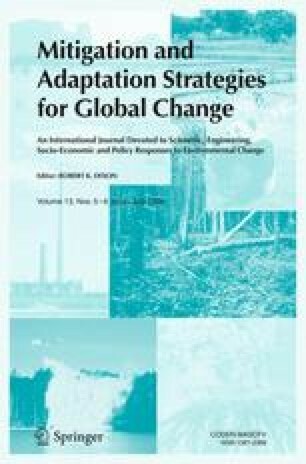 Global climate change has already affected the abundances, range limits, and interactions of many species. The hemlock woolly adelgid (Adelges tsugae), an invasive insect introduced to eastern North America from Japan, has decimated stands of eastern hemlock (Tsuga canadensis) and Carolina hemlock (T. caroliniana) from Georgia to Connecticut. However, its spread across central and northern New England has been slowed substantially by its inability to tolerate cold winter temperatures. Using data from previous lab and field studies collected over the past 17 years, including adelgid spread and overwintering mortality, we first characterize the temperature conditions that may limit adelgid spread. We then show how, in the future, rising winter temperatures due to climate change are likely to remove the conditions currently limiting adelgid spread, and facilitate the northward expansion as more suitable habitat becomes available. This project was supported by Cooperative Agreement No 103-CA-11244225-130 between the University of Massachusetts and the U.S. Department of Agriculture- Forest Service. We would like to thank Paul Sievert for statistical advice; Charlie Burnham for providing colonization data; Gloria Witkus, Jeff Boettner, Brenda Whited, Roy Hunkins, Dianna Barszcz, and Siobhan Flaherty for lab and field assistance. Carole Cheah, Scott Costa, and Dave Orwig assisted in locating field sites; Jeff Van Dorn for creating the climate projection plots; and Dave Orwig, Matt Ayres, Evan Preisser, Tom Lambert, and Jerry Melillo for providing helpful comments on earlier versions of the manuscript.